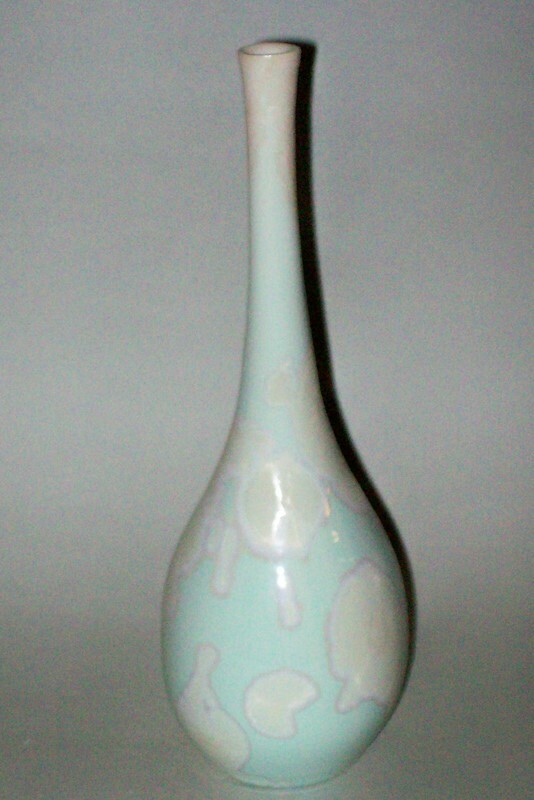 Aqua Crystalline glazed vase. Approx 23.5cm h x 9cm w. Electric kiln fired to 1280o in oxidization wheelthrown in white stoneware clay. Copper and Cobalt carbonate colourants. Photo by artist.